This NCLEX review will discuss rheumatoid arthritis. 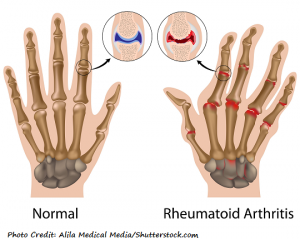 As a nursing student, you must be familiar with rheumatoid arthritis along with how to care for patients who are experiencing this condition. Don’t forget to take the rheumatoid arthritis quiz. What is rheumatoid arthritis? An autoimmune condition that causes inflammation in the joints. This inflammation specifically affects the membrane lining of the joint called the synovium. Rheumatoid arthritis can eventually lead to bone fusion. What is a joint? It is where two bones meet together. WBCs invade the synovium, which causes it to become inflamed. This inflammation leads to thickening, and the formation of a pannus. A pannus is a layer of vascular fibrous tissue. The pannus will grow so large it will damage the bone and cartilage within the joint. The space in between the joints will disappear and anklyosis will develop. This is the fusion of the bones. The patient will have major stiffness and immobility of the joint. The patient will have soft, tender, warm, and swollen joints. They will feel very tired (this leads them to be inactive) and have a fever. **Hallmark signs: RA affects the same joint bilaterally. Stiffness and pain will be worst in the mornings (>30 minutes of stiffness) or after long periods of inactivity and all types of joints can be affected. 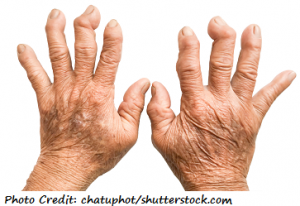 Rheumatoid arthritis most commonly affects the fingers and wrist. It can also affect the neck, shoulders, elbows, ankles, knee, and feet. However, it just doesn’t affect the joints but can extend to the heart, skin, eyes, mouth, lungs, and cause anemia. Can happen at any age…most commonly 20-60 years old….not just in older adults as in osteoarthritis. Cases vary: some patient have severe chronic cases that last for life time. While others may have for a short time and it goes into remission. RA can come on suddenly or gradually over years. There is no cure for RA. Surgery (replacing the joint with an artificial one, removal of the synovium “synovectomy”, “arthrodesis” (joint fusion) where the joint is removed and the bones are fused together with a bone graft. It leads to the destruction of the joint within 2 years of the development of the disease, so it happens fast. Ask patient questions to help determine early on if this is RA: does it affect the symmetrical joints, when is the stiffness the worst? Educate patient about the disease (no cure but can be managed) and assess patient’s understanding about RA because management (exercise, medications) help improve quality of life and prevent further joint deterioration. Patient needs to maintain physical exercise as tolerated. This improves the fatigue and prevents a decrease in muscle strength. In addition, it prevents contractions by keeping the joints in motion. Patient needs to schedule times for rest and to never overexert themselves. Multidisciplinary approach: Physical therapy and occupational therapy will be part of the patient’s care to help assist with treatment plans. Use assistive devices (make sure the patient is using them correctly to promote safety…at risk for injury). These devices help alleviate stress on the joints. These devices include raised toilet seat, tools to help grab items, tools to help button or zip shirts, shower chair, cane, walkers etc. DMARDs (disease-modifying antirheumatic drugs): suppresses immune system from attacking the joint along with helping slow down the destruction of the disease on the joints and bones. DMARDS (biologic response modifiers): These drugs are still part of the DMARDs drug category but are genetically engineered and used in very severe cases. “Handout On Health: Rheumatoid Arthritis.” Niams.nih.gov. N.p., 2017. Web. 7 Aug. 2017. 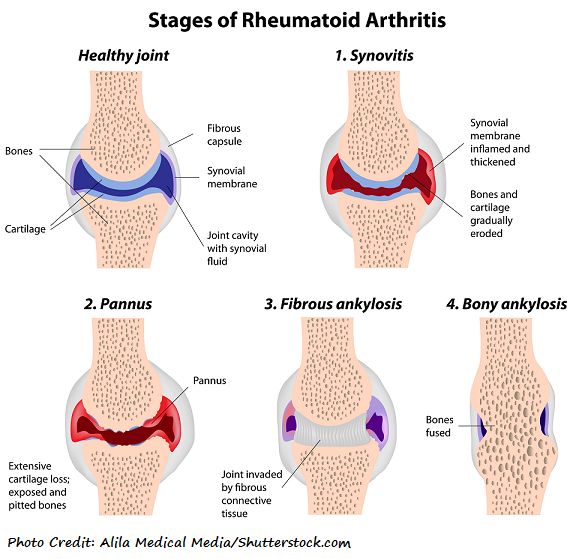 “Rheumatoid Arthritis (RA) | Arthritis Basics | Arthritis Types | Arthritis | CDC.” Cdc.gov. N.p., 2017. Web. 7 Aug. 2017.